Agalinis fasciculata, I_TQBH2167. close-up. © Copyright Bobby Hattaway 2011. discoverlife.org (Accessed 7/2017). Agalinis fasciculata is an annual herb to 1 m tall; a root hemiparasite, stems rough-textured, finely hairy, sometimes stout, branches angled. Leaves opposite, (often alternate on branches) linear, 0.1-0.2 cm wide, 1-veined, curved, rough textured, often with dense cluster of small leaves (fascicles) in axils. Agalinis fasciculata. 9. Stephen F. Austin State University. src.sfasu.edu (Accessed 7/297). 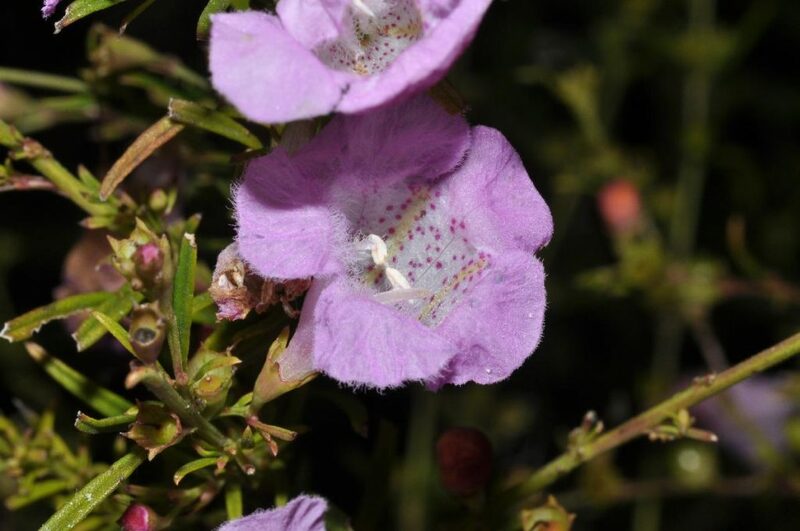 Flowers purple, slightly bilaterally symmetrical, 2.5-3.5 cm long, broadly tubular, calyx 0.3-0.4 cm, tubular, lobes 0.1-0.2 cm, stalks 0.2-0.5 cm long; inflorescence of racemes with 12-30 flowers in axils of small leaves near ends of branches. Fruit dry, hollow, rounded 0.5-0.6 cm, splitting open to release dark seeds. Origin: Native to southern Maryland and south. 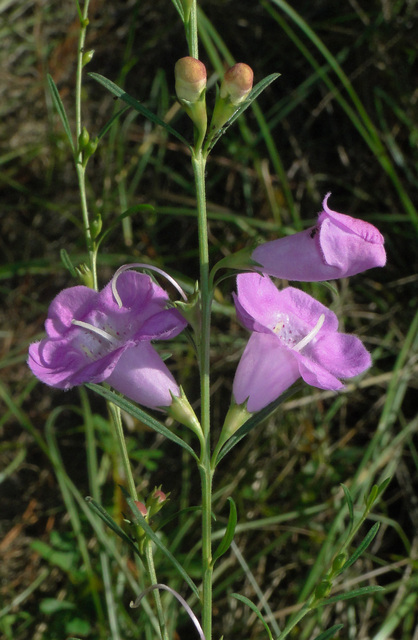 Habitat: Dry sand of coastal plain.